When fans think of the New England Patriots dynasty, they think of a fire, one that has been lit ever since Tom Brady stepped onto the field to replace the injured Drew Bledsoe. 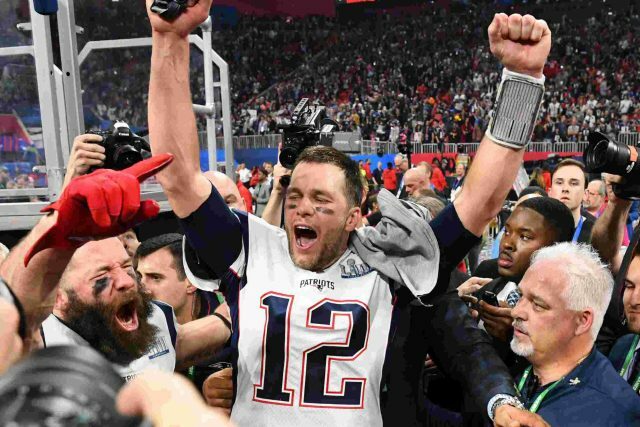 They imagine the flames nearly touching the sky when the Patriots won three titles in four years, or when they made history going a perfect 16-0, or when they experienced miraculous victories over the Seattle Seahawks and Atlanta Falcons on the world’s biggest stage. But the flames haven’t always been high. Losses to the New York Giants, the miserable start to 2014, the heartbreaking loss to the Philadelphia Eagles, and the endless amount of critics, skeptics, and sports analysts begging for a spot in the national spotlight. But now the flames have been fanned higher than ever. Belichick and Brady have won a record six Super Bowls in almost 20 years, something that NFL fans will never see again. Patriot Nation has been given so much joy, so much happiness from this organization. Their children and their children’s children will never witness this greatness. For two decades, football fans can rely on three things: death, taxes, and the Patriots winning the AFC East. Through thick and thin, the Patriots have been there—their flame burning bright throughout the New England skies. The fire will go out, and a dynasty will die with it. It could be tomorrow, it could be next year, and it could even be in five years. Sit by this fire and enjoy it—because it will not be around forever.